Roam the high country mountains in this "Abominable Snowman" t-shirt. It's your night to shine with this "Academy Boy" t-shirt. 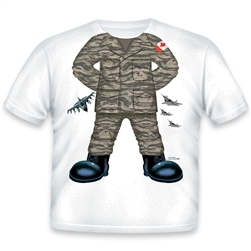 March proud with this cute "Air Force" t-shirt. 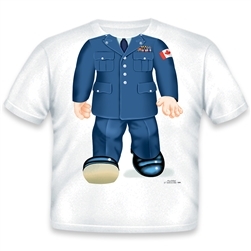 Take to the sky in this "Air Force Canada " t-shirt. Take to the air with this "Air Force Flight Suit" t-shirt. 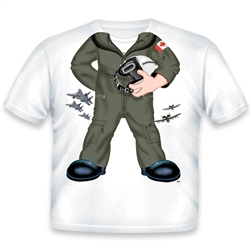 Take to the sky in this "Air Force Flight Suit Canada" t-shirt. Fly like a pro in this cool "Air Force Tiger" t-shirt. Take to the sky in this "Air Force Tiger Canada" t-shirt. Fly like a pro in this cool "Alaska Aviator" t-shirt. Do your time in this "Alcatraz" most wanted t-shirt Spoke your friends with this cool "Alien" t-shirt. 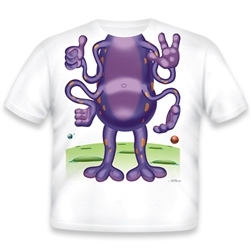 Go intergalactic with this cool "Alien Creature" t-shirt.